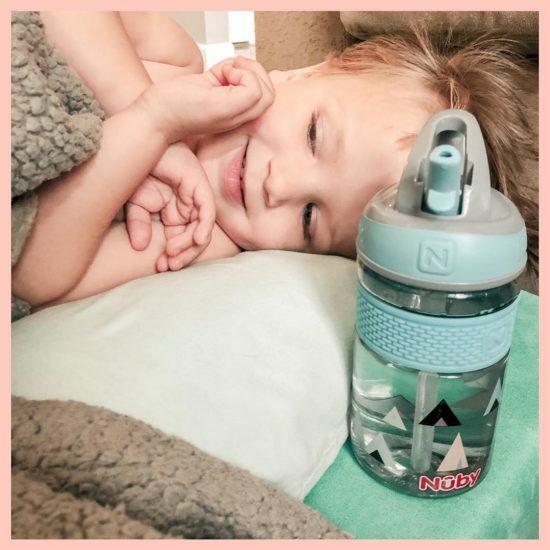 Today we’re reviewing the Thirsty Kids Flip-it Freestyle water bottle we received compliments of Nuby USA, as part of my role as an official Nuby Parent Blogger (you should totally apply for that program, btw). 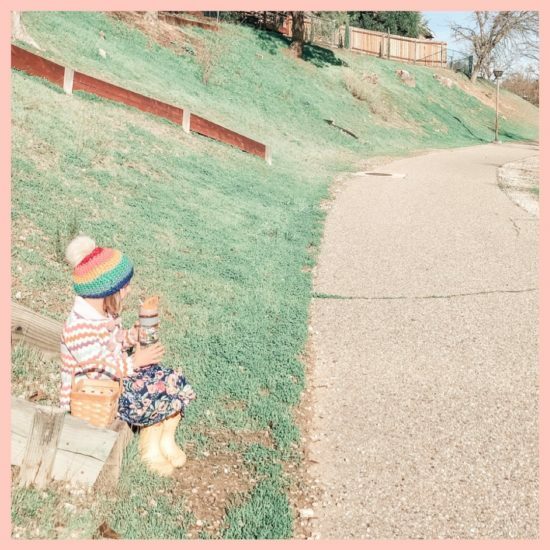 This 12 oz kids water bottle is designed for ages 18 mos +. Trying to flip out the straw themselves, though sometimes it’s a little stuff and they need my help. The love the prints – Foxes and Triangles! I’m trying to tell Wyatt that the Triangles are probably teepees, but he’s not having it lol. That the straw is hard and not the soft-spout kind that they can chew and ruin. I hate when that happens! The kids like the prints but I do, too!! Super gender neutral and contemporary patterns. None of that bright primary colored kid stuff that usually rules our house. These are simple, clean designs that I would want to drink out of. And the biggest like is ….. the cups don’t leak when they’re closed. That’s a major necessity for me bc leaky cups make me so mad. Overall, we totally recommend this cup and especially its prints and design! You can find this water bottle for $8.99 in my Amazon influencer shop (affiliate link). 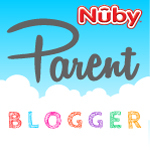 As an official Nuby Parent Blogger, I’m part of the brand’s selective group of mommy bloggers chosen to show you some of its latest products in action. You can see my Reviewer Badge page and the network of other Parent Bloggers here. When we do product reviews, we receive the product for free from the brand, but all opinions are my own. For more information, please see my disclosure.